All the Free jQuery Plugins about 'Back to top' are listed here. Yet another jQuery scroll to top plugin for displaying a fully configurable floating button when scrolling down that allows the user to quickly and smoothly scrolls the page to the top. A simple yet fully configurable back to top button plugin for jQuery that enables the user to quickly scroll your long page to the top (or a specific point within the document) with a smooth transition. Just another jQuery scroll to top plugin which generates a highly customizable, CSS3 animated back to top button on the long webpage for better readability. goTop.js is a dead simple and super lightweight jQuery plugin that auto reveals a 'Scroll To Top' button as you scroll to the very bottom of the webpage. Just another jQuery implementation of the scroll / back to top button that comes with several useful configuration options to fit your needs. jQuery toTop.js is an ultra-light jQuery back to top plugin which enables an element to smooth scroll the page back to the top at a given speed. 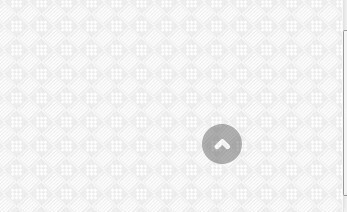 Just another jQuery scroll to top plugin that displays a back to top button at the lower right corner of your current page. Goup is a simple yet fully configurable jQuery scroll to top button which allows users to scroll back to the top of the page. The KNResponsiveMenu jQuery plugin provides the responsive fullscreen toggle menu and back to top functionality for your long webpage. Scrolls.js is a lightweight jQuery scroll to top plugin that enables a configurable button to smoothly scroll back to the top of the webpage. Yet another jQuery back to top plugin that shows/hides a smooth 'Scroll To Top' link as you scroll down/up the webpage, with callback functions support. Yet another jQuery back to top plugin that enables a highly customizable button to smoothly scroll back to the top of the webpage when clicked. Gototop is a jQuery plugin which generates a custom scroll to top at the 'Bottom Right' of the webpage, allowing the user to scroll the webpage to the top with a smooth scrolling experience. 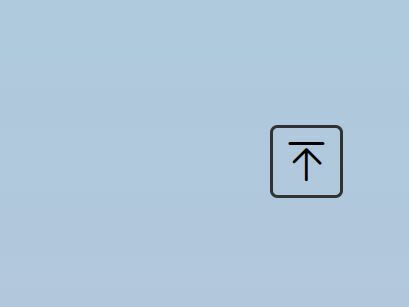 scrollbutton is a jQuery plugin that displays an auto shown/hide 'back to top' button when scrolling down to enhance the navigation experience on your long webpage. I'll Be Back is a simple yet highly customizable jQuery plugin used for creating a scroll to top button to enhance navigation experience on webpage with long content. A simple jQuery implementation of a customizable scroll to top button on your webpage for better UX. go2top is a simple, lightweight jQuery plugin for creating a SVG based back to top button which allows the visitor to go back to the top of the webpage. toTop.js is a jQuery plugin that creates a fixed back to top button for smoothly scrolling the page to the top as you're about to reach the bottom of the document. Butter Scroll is a lightweight jQuery plugin which enables anchor links to scroll smoothly to specific points of your webpage. elevator is a jQuery plugin to generate up / down buttons which allows the user to scroll the page to top (or bottom) with a smooth scrolling effect. 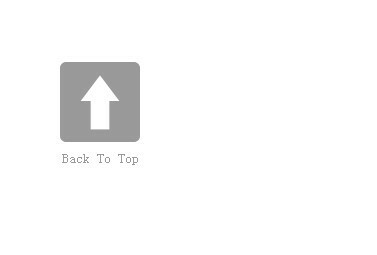 backTop is a jQuery plugin that provides a simple way to display a back to top button as you scroll down the page. scrollToTop is fast jQuery plugin that allows you to scroll to top and bottom of your page with a smooth scrolling effect. Showup is a simple jQuery menu plugin for hiding the sticky top menu bar when scrolling down the page and showing it at the top of the page when scrolling up. A lightweight jQuery plugin used to create a floating bar containing a scroll to top button and a barcode at the bottom right of your page. This jQuery Plugin makes it easy to add a Beautiful BACK-TO-TOP Button when scrolling down your page. Everything is created by the plugin. No HTML code required. 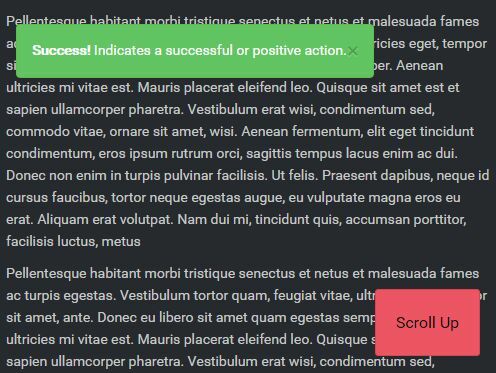 scrollUp is a lightweight jQuery Plugin that helps you easily create Scroll To Top feature with smooth scrolling effect. A simple jQuery based back to top plugin that displays a clickable scroll to top button on the bottom of your page when scroll down, with smooth scrolling effect. iTopPage is another jQuery Back to top plugin that displays a scroll to top button with a white arrow from a specified point when your vistors scrolling down the page. A smooth page scrolling effect for returning to the top of the page using jQuery that provides visitors with an easy way to quickly scroll to the top of the page. 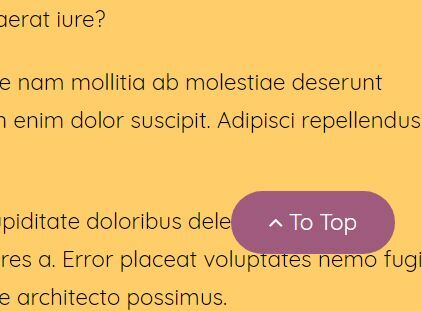 A simple script using jQuery library to create an animated "Back to Top" or "scroll to Top" link on your page.